German-speaking job opportunity to work in Greece! We want our people to be inspired and motivated. We want them to feel proud to belong to our team, that’s why we invest so much in our programs, relationship initiatives, and internal campaigns. We work hard to create the best place for them. The Teleperformance For Fun Festival is an annual festival recognizing and celebrating the unique artistic talents of our people around the world. Having the proven ability to recruit and retain highly skilled top performers, proud to be recognized (once more in 2017) as a Best WorkPlace in Greece, with state-of-the-art technology Sites (all with active BCP, DRP and Security processes based on PCI DSS & ISO 27001 standards) and -most of all- with a Performance Driven Orientation that results to the consistent achievement of KPIs, CSAT, ESAT, NPS & QA scoring; Teleperformance in Greece. Passion 4U is a worldwide initiative to promote well-being and a higher quality of life by sharing topics related to good health and minimizing employee stress. Passion 4U reinforces the true meaning of “pride in belonging,” bringing a new look to the anti-stress initiatives of Teleperformance Group, including promoting good health, fitness activities and happiness at work. Get hired faster with a standout resume & CV. Presenting a polished and professional introduction is just as important as having the chops to back it up. It’s easy and free to join. Get up and running today. 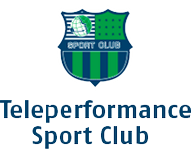 Register as a Teleperformance affiliate and get your own unique referal url to promote. See on an easy to understad interface how many clicked your own unique promo url, how many converted, how much commission you make per conversion etc. Promote our job listings to your friends via social media, messenger, email, whatsup, viber or any other digital source your like and earn money for each candidate that Teleperformance hires!